Apple has officially launched iOS 6 alongside the iPhone 5 in San Francisco, ushering in a new, Google-free era for the Cupertino-base firm. We saw iOS 6 unveiled during WWDC in June, where Apple revealed that it would be waving goodbye to Google Maps, brining in its own mapping solution, while also adding more features to the OS, including Passbook, Facetime over 3G, Facebook integration and Siri to the new iPad. Several Beta versions of iOS 6 were released since that announcement, and it revealed Apple had also ditched another Google offering, in the form of the pre-installed YouTube app, which now needs to be downloaded via the App Store. If you're not willing to shell out for the sixth generation iPhone, but fancy some iOS 6 action then you may be in luck, as Apple will be bringing the update to the iPhone 3GS and above, both the new iPad and iPad 2, as well as the fourth generation iPod touch. 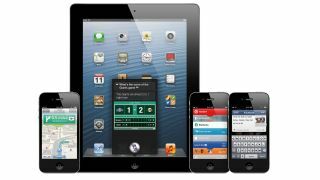 The new iPhone 5 will run iOS 6 out the box, which starts shipping on September 21, while Apple's other devices will start to receive the free, over the air update from September 19. Sadly if you own an iPhone 3G or older, or the original iPad you will miss out on iOS 6 altogether, so you may want to start saving.